HMH Books for Young Readers, 9780547225708, 48pp. It wasn’t too long ago that people tried all sorts of things to help sick people feel better. They tried wild things like drinking a glass full of millipedes or putting some mustard on one's head. Some of the cures worked, and some of them…well, let’s just say that millipedes, living or dead, are not meant to be ingested. 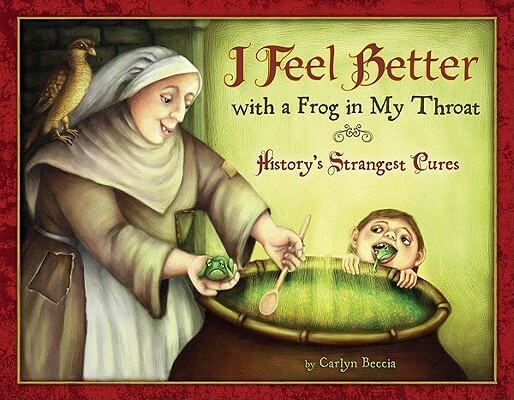 Carlyn Beccia takes readers on a colorful and funny medical mystery tour to discover that while times may have changed, many of today’s most reliable cure-alls have their roots in some very peculiar practices, and so relevant connections can be drawn from what they did then to what we do now.